Derick is a full time professional coach working with triathletes, cyclists, runners and adventure sports athletes. He has a masters degree in sports science & nutrition and has worked with beginner to professional athletes all around the world. Derick has been a full time professional coach since 2003, in that time he has coached a wide range of athletes, from first time triathletes to professionals winning Ironmans, Half Ironman as well as Olympic triathlon development athletes, Olympic marathon trials runners, major marathon champions and Masters Cycling National Champions. Derick has a masters degree in Sports Science & Nutrition from The University of Texas, he is a USAC Level 1 coach & USAC Power Certified Coach. Additionally he works as a lead presenter and coach for USA Cycling Level 2 coaching clinics, teaching applied physiology, training principles, methodology and on bike skills to aspiring high performance coaches. Derick also serves as the head cycling coach for the USA Triathlon Collegiate Recruitment Program which works as the developmental pipeline for future US Olympians! Derick also works closely with Team Red, White and Blue whose missions is to enrich the lives of America’s veterans by connecting them to their community through physical and social activity. He cofounded the annual Team RWB triathlon camp held in Austin, TX. Through a unique combination of education and experience Derick is able to guide athletes toward their true athletic potential. 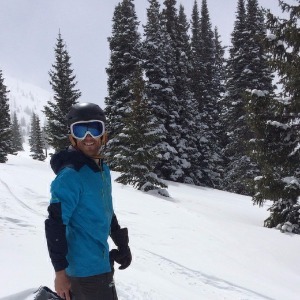 When not coaching Derick can be found running and riding any trail close by, chasing trout or earning his turns in the Colorado backcountry. Success. Coach Derick Williamson has been notified of your message.